The joy of analog reproduction is the indulgence of the harmonic density and tonal character of vinyl playback, faithfully reproducing sound vibration and resonance inscribed on analog records without interruption. The EQ-500 phono equalizer amplifier is a vacuum tube design for all stages to provide the ultimate experience in the expressive and colourful reproduction of music. Fine adjustment and switching functions that are easily accessible on the elegant front panel allow you to enjoy the real pleasure of analog reproduction. The debut of LUXMAN’s masterpiece phono equalizer amplifier, the EQ-500, brings a new dimension that offers an extensive menu of the finest details of analog reproduction allowing you to recreate that ideal sound from your memory. 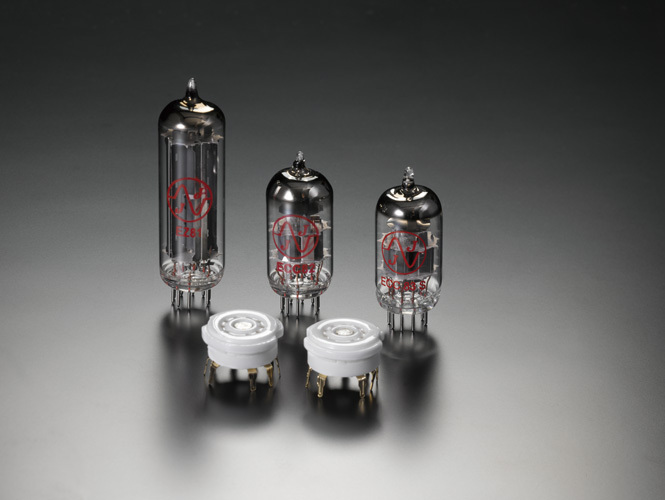 All stages of the EQ-500 are vacuum tube. For the 1 and 2 stage a SRPP (Shunt Regulated Push-Pull) circuit is used which features low impedance, low distortion and prolongs the life of vacuum tubes. For the final stage a cathode follower parallel circuit is used with the ability to lower impedance further.The excellent sound quality of the CR circuit, supported by linear characteristics, is a direct result of the quality and accuracy of the parts used. 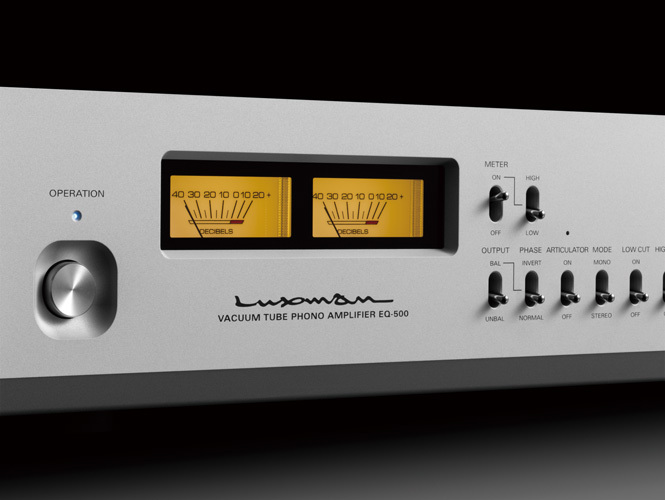 LUXMAN has achieved the ultimate in high grade analog reproduction in the EQ-500 thanks to more than half a century of experience in manufacturing vacuum tube amplifiers and the selection of high performance parts. To protect minute analog signals from noise and magnetic field interference, the main sections of the EQ-500 are strongly shielded. The loopless chassis design of the EQ-500 isolates any ground impedance increase and magnetic field caused by the chassis current. 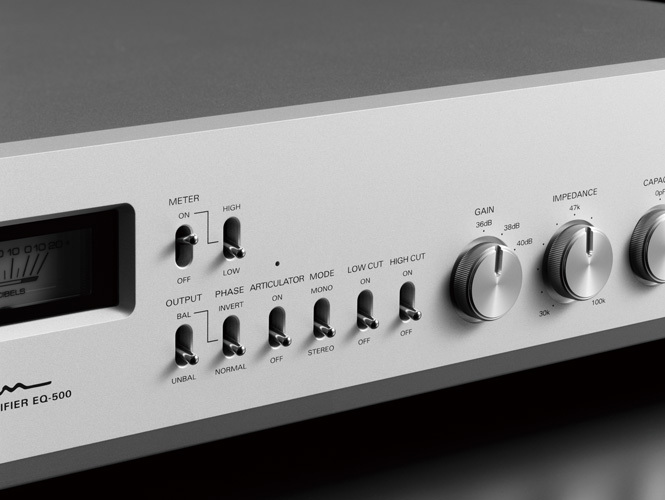 The EQ-500 is housed in an elegantly thin chassis that can be mounted easily on a control amplifier. Stylish pointer type analog VU meters with a sensitivity selection switch monitor the output levels and sit on the blaster white front panel alongside a variety of additional control switches to create the sound close to your taste. The EQ-500 features a load capacity selection function from which 6 levels (0/50/100/150/200/300pF) can be selected according to the characteristics of the cartridge to be used. Com bined with the load impedance selection function (30k to 100k ohms continuously variable) the original potential of the cartridge can be fully exploited. All main control functions can be operated from the front panel of the EQ-500; articulator function (cartridge demagnetizer), 3 position gain selection, unbalanced/balanced output selection, phase invert, monaural mode, low cut and high cut switches. 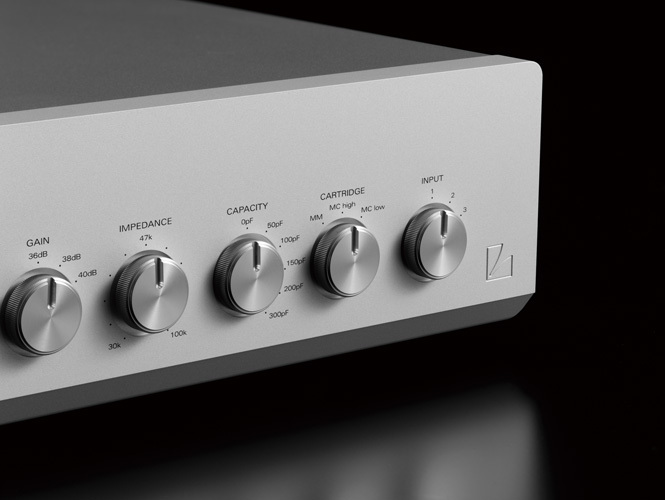 The phono equalizer amplifier plays a unique role as part of an amplification system with respect to the characteristics and delicacy of signals. Because of this uniqueness, phono equalizers have been designed using various kinds of circuit methods and elements and have captivated the interest of enthusiasts for whom the detail of the sound is paramount. 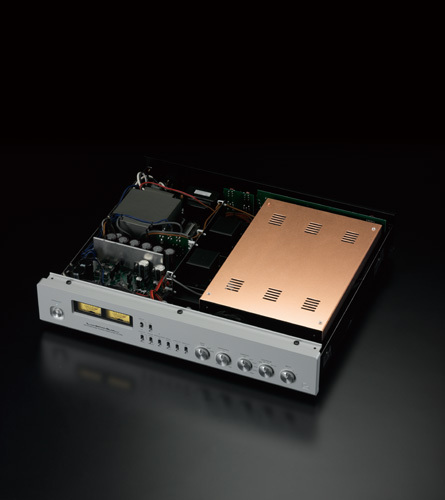 The EQ-500 is equipped with the circuit technology and musical essence inherent to its predecessor, the E-06 from LUXMAN. First launched in the 1980’s, the E-06 is still a highly respected masterpiece of the CR type. This renowned circuit technology has been newly improved in the EQ-500 and uses vacuum tubes for all of the amplifier elements to bring the spirit of analog sound inscribed on the vinyl discs into life. The vacuum tubes specified for the EQ-500 are manufactured by JJ Electronic in Slovakia and have a reputation for high quality and superior performance. The characteristics of the gold plated ceramic tube sockets are ideal due to their solidity and low contact resistance. 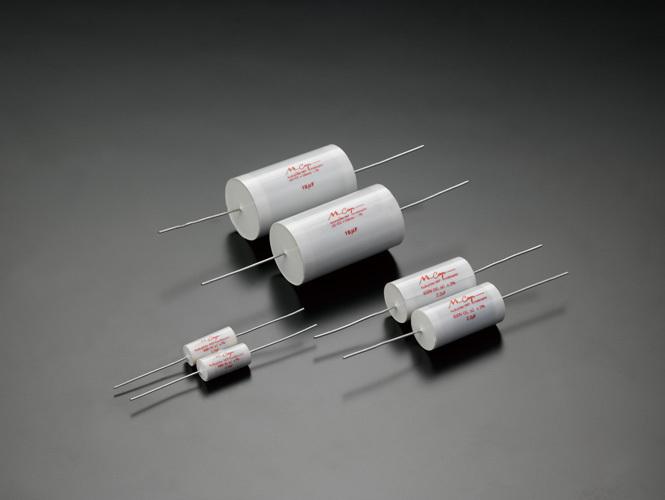 A stable voltage can be supplied to the amplification circuit using a rectifying tube and a choke coil. 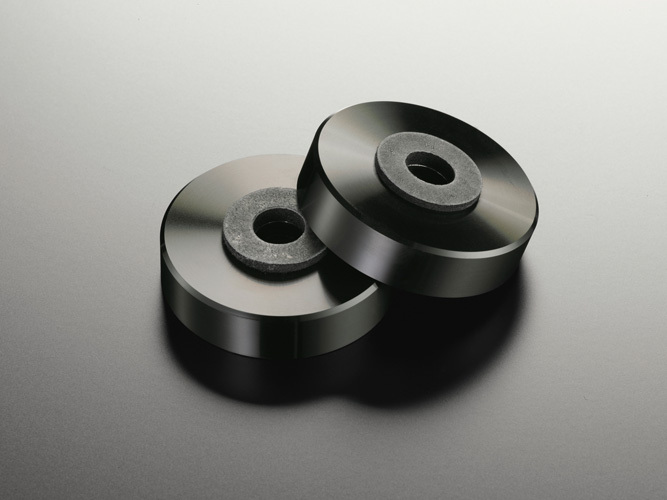 A large-capacity output transformer as well as MC step up transformers each playing a critical role in determining the sound quality and performance are made of super permalloy that particularly enhances the response to small signals. 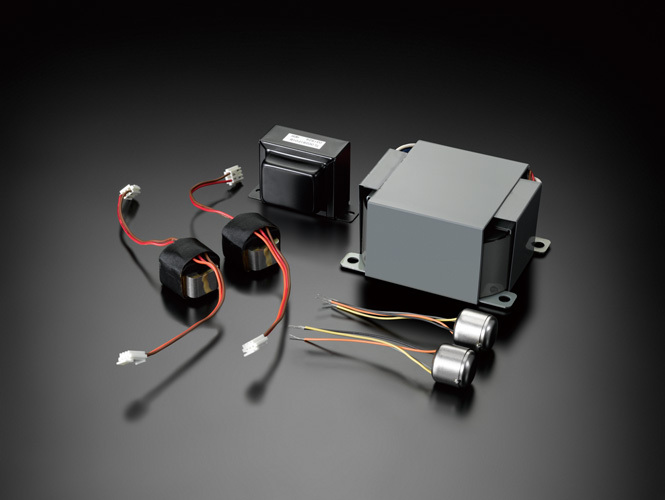 In addition, 4 units of MC step up transformers are mounted for MC-HIGH, MC-LOW, right and left independently. 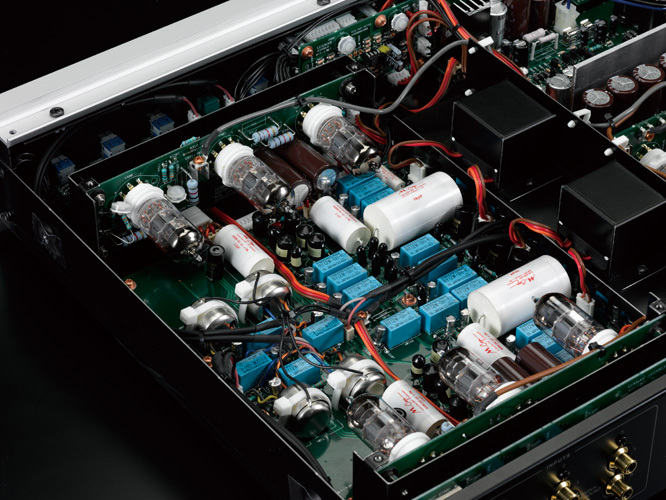 The coupling capacitors that have been chosen for the EQ-500 are manufactured by Mundorf in Germany, world renowned for their ‘Audiophile’ tenacious tonal quality. Original custom built components are abundant in the design of the EQ-500 ensuring the ultimate in sound quality and reliability for each circuit including OFC internal wiring. The high-rigidity insulator legs carved from solid block aluminium to suppress any vibration reaching the internal circuits of the EQ-500.